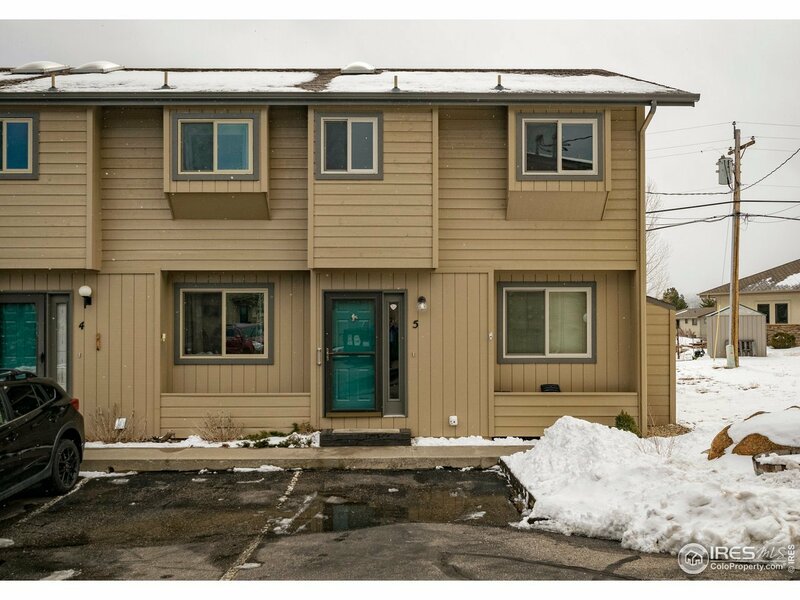 Impeccably cared for end unit 2 bed condo with amazing continental divide views! Watch the elk from your back deck! Curl up in front of the cozy fireplace or take a walk to Lake Estes. Only 1 mile to downtown. Open floor plan inc tiled kitchen, spacious great room w/ vaulted ceilings, fireplace & deck access. Master w/ walk-in closet & fenced patio. Bath has new walk in shower. Lots of storage. Laundry conveniently located between the 2 bedrooms. Excellent second home or starter condo.